I just found this great deal. It's reduced from £97.00 to £64.99! You can get it from www.argos.co.uk. 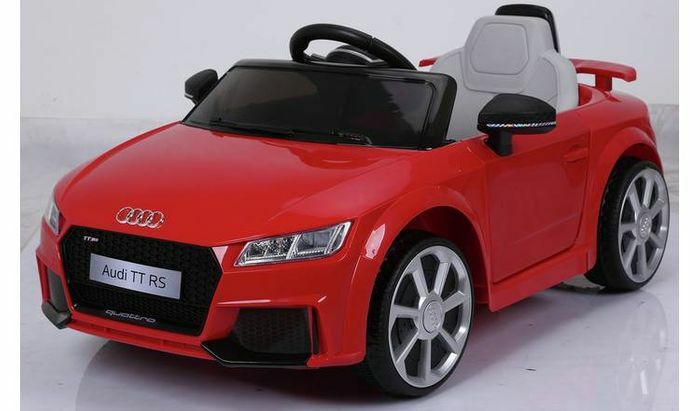 Give your child a taste of the open road with this model Audi TT, a perfect battery-powered replica of the real thing. Capable of up to 2.0KM/H, the Audi Ride-on features working LED front headlights and sound effects for a realistic driving experience to satisfy the littlest of petrolheads. Comes complete with charger. Great deal with amazing price!